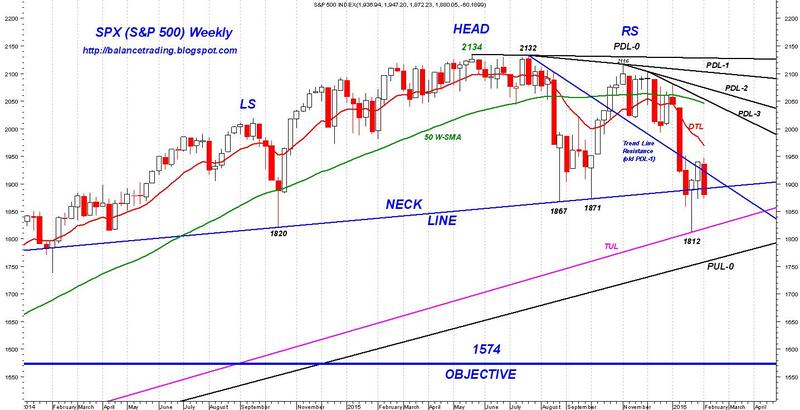 An ominous Head and Shoulders Top (H&S Top) has formed on the weekly chart of SPX, shown above. 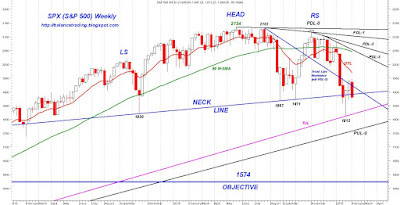 The neckline for that H&S Top has been breached now and SPX is very likely on its way to upper 1500 (1574) to reach the objective level for that price formation. 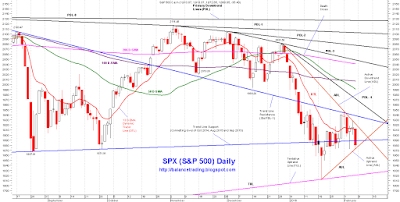 To get there, SPX would have to drop an additional 16% from its close (1880.05) on Friday. Chances are good that SPX drops to upper 1500's by late March to early April. At that point, the Fed would very likely intervene by lowering interest rates (0.25%) and going back to ZIRP. It's doubtful if the Fed can shore up indices and prevent a recession by ZIRP alone. Eventually, the Fed would be forced to start another round of QE sometime early summer. It's either starting a new round of QE to prevent a recession or having a narcissist in the White House in January of 2017. I would choose QE. 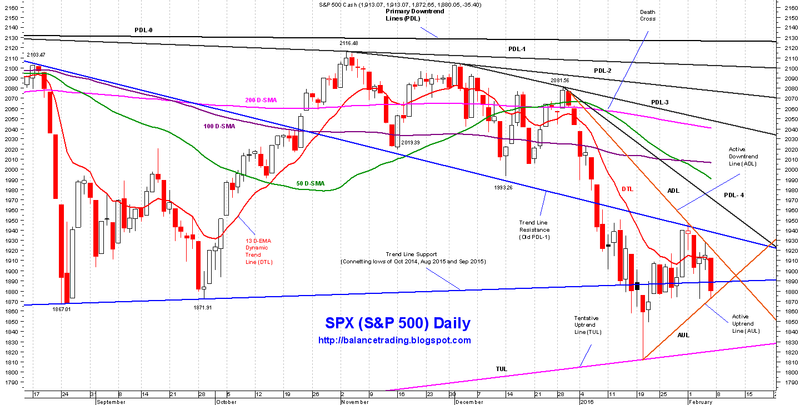 Shorter term, after a "dead cat" bounce early this coming week, SPX very likely sells off to test its TUL around 1830. Per my plan I did my first of 3 shorts in SPY and QQQ on Thursday at the open. I'm planning to do my second short sell sometime early next week, very likely on Monday.